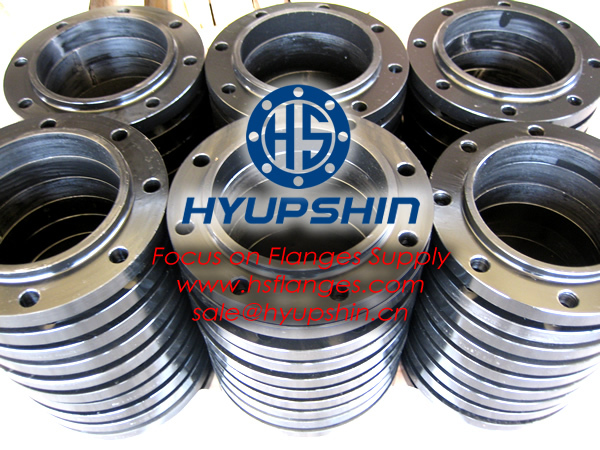 JINAN HYUPSHIN FLANGES CO., LTD ( www.hsflanges.com )supply B16.47 FLANGE, API 605 FLANGE, MSS SP44 FLANGE, CLASS 150#, CLASS300#, CLASS600#, CLASS900#, CLASS1500#, CLASS 2500#, WELDING NECK FLANGE, WNRF FLANGE, WN RTJ FLANGE, STD, SCH40, SCH80, SCH160, XS, ASME B16.5, Monthly output 3000Ton. 1) CLASS 150 WELDING NECK FLANGE RF, WNRF FLANGE, WN RTJ FLANGE, 1/2" - 48", ANSI B16.5, B16.47, A105. 2) CLASS 300 WELDING NECK FLANGE RF, WNRF FLANGE, WN RTJ FLANGE, 1/2" - 48", ANSI B16.5, B16.47, A105. 3) CLASS 600 WELDING NECK FLANGE RF, WNRF FLANGE, WN RTJ FLANGE, 1/2" - 48", ANSI B16.5, B16.47, A105. 4) CLASS 900 WELDING NECK FLANGE RF, WNRF FLANGE, WN RTJ FLANGE, 1/2" - 48", ANSI B16.5, B16.47, A105. 5) CLASS 1500 WELDING NECK FLANGE RF, WNRF FLANGE, WN RTJ FLANGE, 1/2" - 48", ANSI B16.5, B16.47, A105. 6) CLASS 2500 WELDING NECK FLANGE RF, WNRF FLANGE, WN RTJ FLANGE, 1/2" - 48", ANSI B16.5, B16.47, A105.